I started Sparkles! as a home based day-care business in 1991, as a way to be with my own children while sharing my dedication to early childhood education. What started with one child in a county-regulated home day care, quickly grew to state-licensed home day care center. By 1999, I greatly expanded the business by opening a state-of-the-art complex with capacity for 75 children in Fair Oaks, VA.
During the first years, I was responsible for all aspects of the business including hiring staff, marketing, quality control, and compliance with state and local laws and regulations. I undertook an expansion which more than doubled the size of the Fair Oaks Center to a capacity of 158 children. In 2010, Sparkles! at Fair Oaks, LLC was awarded a contract with Fairfax County Public Schools to provide before and after school care at White Oaks Elementary School in Burke, Virginia through a competitive proposal process. In August of 2011, growth continued with the opening of Sparkles! at Crystal City with a capacity of 108 children. I have been recognized as a small business leader by the Small Business Administration officials and was invited to the White House in March of 2010 to attend the signing of the Jobs Bill along with other business leaders. In 2013, I was the recipient of the 2013 SmartCEO/BRAVA! Awards. I continue to run Sparkles! on the principles from which it started, working in partnership with busy parents seeking the very best care for their children. Joining the Sparkles! team in 2007, Gille focuses on organizational growth and supervision of the operations at each Sparkles! center. 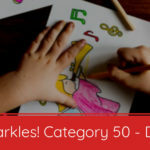 Over the years, Gille has become a childcare industry expert and has helped lead Sparkles! to become a local leader in education-based child care. Gille is passionate about maintaining an excellent Sparkles! experience for its children, parents and staff. She holds a Marketing degree from Universidad Autonoma Sto Dgo, and a Masters in Business Administration from Universidad Catolica Madre y Maestra the Dominican Republic. Cynthia has been working in a preschool setting for the last 8 years. She joined Sparkles! because they are committed and care deeply about the service they provide to the children, parents and teachers. Since 2013, she has been leading the Sparkles! Human Resources Department. Because of her strong work ethic, standard of excellence, leadership and willingness to wear many hats, she is highly respected by staff, teachers, parents and children. Cynthia holds an Associates Degree from WVU and is holds certifications through Paychex.